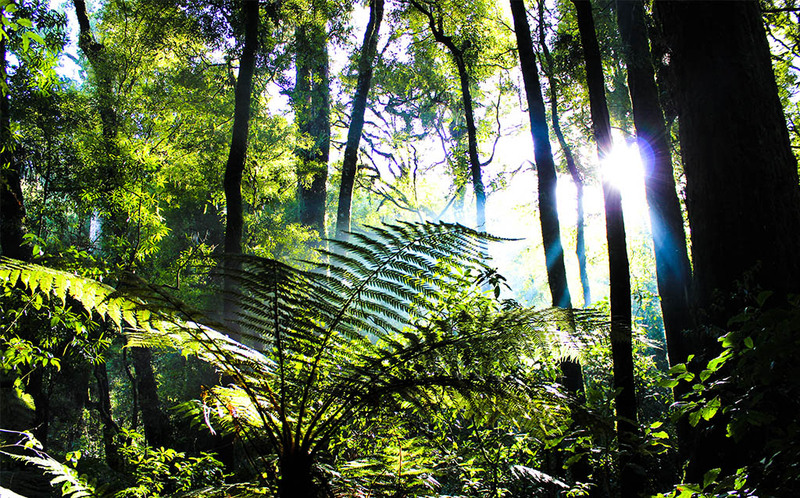 We don’t take our eco-tours through just any forest – it is unique New Zealand native forest. Before people arrived in New Zealand it was covered in 80% native forest, now there is only 24% left. That’s why we need to look after the native forest we have left as we want NZ locals and international visitors to experience such a beautiful and special part of our country. 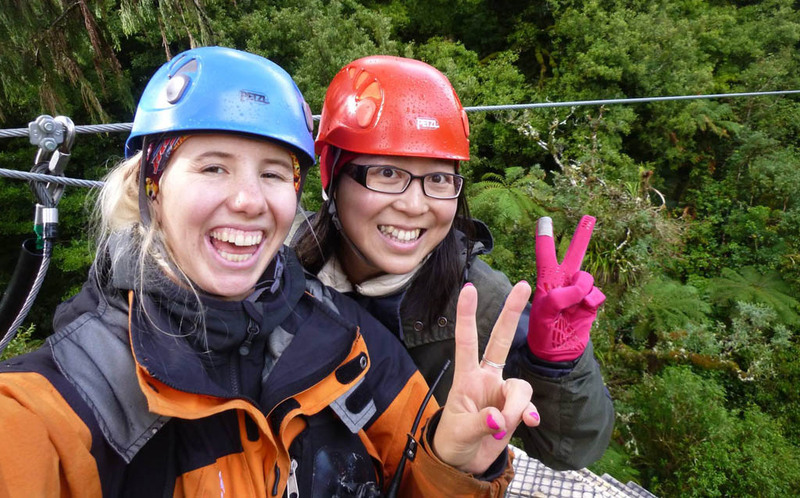 We love ziplining at Rotorua Canopy Tours and it’s a big part of who we are, but we are a lot more than just that. We take huge pride in the trapping that we have done in the forest over the past 6 years. We are now seeing some amazing results in the forest such as wildlife returning to their natural habitat and the forest rejuvenating itself. On our zipline tour you will learn about the history of the forest, what the forest is like today and what the future holds – trust us when we tell you it’s a highlight of the tour! Where else can you stand on a platform 22 meters up a 1000-year-old rimu tree? On our Original Canopy Tour, you can do just that and it’s a pretty incredible feeling. Being so high off the ground looking over lush native forest on one of the oldest trees in the forest is purely magical! On our Ultimate Canopy Course there are a few added features that make this course truly amazing! This includes our longest zipline we have ever created – 400 metres! It is the perfect amount of time to take in the views deep within the breathtaking native forest and the perfect adventure for an adrenaline rush and pure excitement. 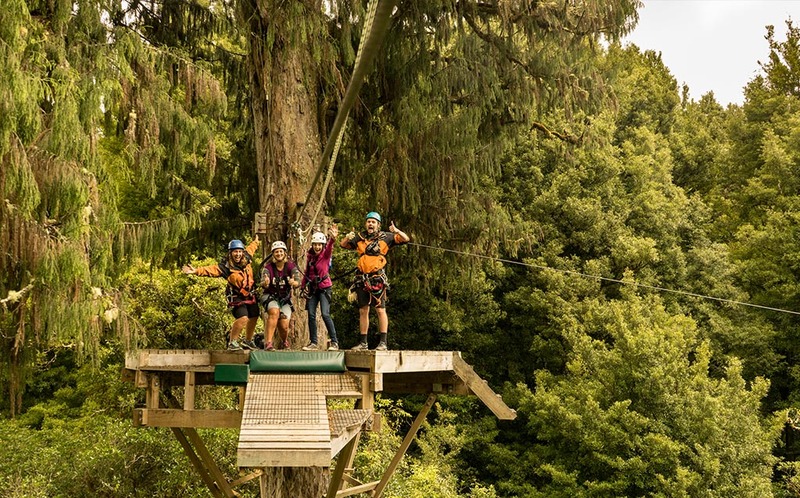 Rotorua Canopy Tours zipline courses are guided by two of our experienced kiwi guides. Our guides all have unique sense of humors and they’re always up for a good laugh and chat. We put our guides through extensive training, so they are very well trained and their number one priority is safety. On the tour they do everything for you, so you don’t need to worry about anything apart from simply enjoying yourself. We still run our ziplining tours rain or shine - in fact it is the most beautiful time to be exploring the native forest. The colors of the trees and plants are brighter, the clouds are lower, and the sky is gloomy leaving the forest feel so mysterious. Don’t let the rain put you off from visiting us – we promise it’s the best time to take on our unique ziplining courses! These days we now see and hear many native birds in our forest compared to what we did when we first started the ziplining tours back in 2012. The birds are very friendly and love to come up and say hi. 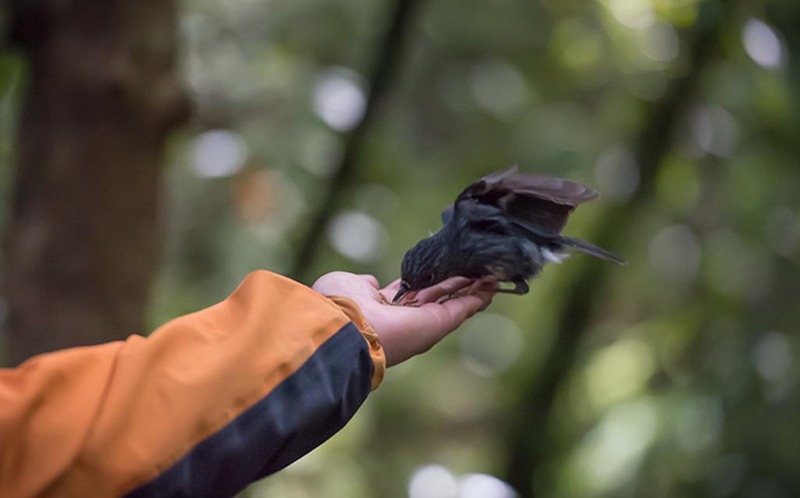 If you are lucky enough you might even get the chance to hand feed a north island robin bird – lets be honest how many other opportunities will you get to hand feed a bird? At Rotorua Canopy Tours we have an awesome team behind the building of our ziplining courses. One of our founders, Andrew is an experienced engineer, so he planned and built the courses along with help from some of our senior guides and other local contractors. It was awesome for us to watch the courses come together, completed by our expert staff. Our zipline tours last 3-3.5 hours in small groups of no more than 10 people. We get heaps of international visitors that visit us at Rotorua Canopy Tours and even New Zealand locals visit as we love exploring our own backyards. 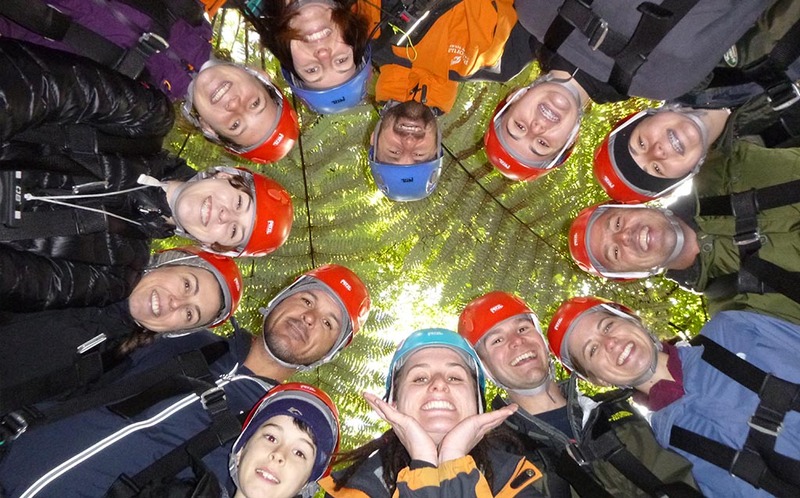 This means you get the opportunity to meet people from all over the world on your Canopy Tour. 10. Everyone can do it! Our ziplining tours are for everyone! No one is too old to come on tour – our oldest customer was 93! Children as young as 6 can come on tour so it’s the perfect activity for every occasion involving families, couples and friends. We also believe that if you fear heights then this is the perfect tour to start facing your fears – our guides are experts at making you feel comfortable and safe.